Download 109 for the latest supported release. See zip file attached. Here are a few examples of what this new firmware includes. Added video move upgrades: The TB3 has always been repeatable, but now we have smoother, faster, time accurate video moves for the 2 Point Setups. This is great for those shooting visual effects or live action. Added new in shot menu: From the in shot pause screen you are now able restart your move, end your move, go to specific frame in move, or resume. Added continuous loop mode: Auto repeat for parallax moves to allow your TB3 to perform as a robotic cameraman for 2 Point Moves. Added portrait panorama: Also coined as the Brenizer Method from Ryan Brenizer, this allows you to shoot shallow depth of field panorama portraits. The outcome looks surreal and photoshopped when in fact optically untouched. Added new joystick feel: Exponential moves make it easier to hit your marks quickly and accurately on all three axis. This saves you time and is more precise than a push button solution. Added delayed start: The delayed start feature now includes a countdown timer and a bailout feature so you aren’t resetting if you accidentally added a delay. Added fast and feathered return to starts: Allows those of you overloading the TB3 to get back to the starts faster while preventing camera shake. Added various bug fixes / enhancements. Start Delay in Portrait Panorama Mode. Instructions for this version are attached. 1) Install install Arduino version 1.6.5. STOP. Let us repeat, download the 1.6.5 version of Arduino. If you have older or newer versions of Arduino on your system either uninstall them or manage your default program settings. The older and new versions will compile our code and break certain function. Please only use 1.6.5. Click here for a link to the Arduino downloads page. 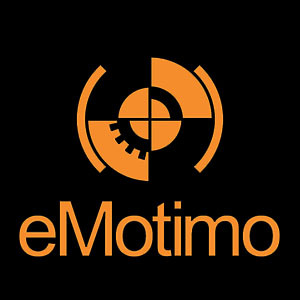 2) Download the eMotimo TB3 firmware (TB3_Black_109 listed below). Unzip the source code to a known location. Use the Extract All instead of just dragging files. For example, if you unzip to your desktop, you would see the following structure to you right. The folder name – TB3_Black_109_Release1.ino is important and cannot be changed. 3) Double click on the file – TB3_Black_109_Release1.ino. This will open the Arduino environment with all the supporting code necessary to compile your code. *** Don’t double click any other file, or the code will only open partially and will not compile. 4) The top portion of the Arduino environment should look like the image below. Keep an eye out to make sure you can see all the tabs. This is the code guts and if you are missing code guts, the code won’t compile and your TB3 might explode. Just kidding, but keep an eye out. Makre sure you have the correct serial port is selected. (Tools –> Serial Port). 6) Press the checkbox button at the top of the Arduino Environment. This compiles our code. 7) Click the upload button to push the new code to your eMotimo TB3. Wait 20-40 seconds while the code uploads to the TB3. “Upload Complete” will show in the status bar at the bottom. 8) Unplug the TB3 from the USB and power up using 12 volt power to get out and play. **Important note – if you are running parallels or some Windows emulation program from you Mac, it is better to setup the Arduino environment directly on OSX. Some users have had trouble finding the right USB com port in emulation software. Install Arduino version 1.6.5. If you have older or newer versions of Arduino on your system either uninstall them or manage your default program settings. Click here for a link to the Arduino downloads page. The folder name – TB3_Black_109_Release1 is important and cannot be changed. Ensure the correct serial port is selected. (Tools –> Serial Port –> tty.usbmodemXXXX). – Power saving without Pause feature – start here as we have had several reports now of the Pause feature causing issues with SMS shoots. Restart the Arduino environment, open the code, compile and upload to your TB3 Orange.